I will admit that when I first got the email to try and test out Vivabox. I thought it was more of a one off subscription box. I used to love buying perfume for my friends, until about six years ago when I received a lot of perfume for Christmas which I actually didn't like. Back then I used to go for the celebrity perfumes, so I think friends and family just used to buy the latest ones out. I will admit now that I rarely buy perfume myself I leave that to my other half, he seems to pick the ones that really do suit me. So unless I pick up samples or request them I rarely try new ones I have picked myself. I love getting perfume as I know it will be one I like who, doesn't like getting a gorgeous new perfume. We was given a him and hers set to review from Vivabox and share my thoughts with you that come with an added surprise. The sets come in a very posh and shiny matte black glossy box. It is a sturdy and thick box that has a lovely pink or blue ribbon attached to it. You could pass giving as it is, without wrapping it. The hers set comes with the following seven scents to try in little vials. You most likely could get 2/3 wears out of each vial so its enough to make you're mind up if you do really like the scent or not. 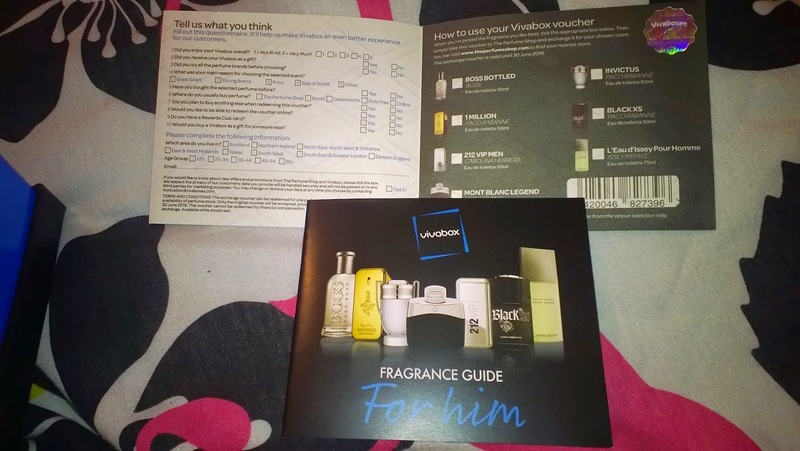 Included is a guide booklet packed with information about each fragrance and helpful tips on how to get the most out of testing and using them. Out if the seven there is definitely one which will you fall in love with. In the his set the following seven scents are to try, my only bugbear with the men's was the variety of the scents. There was three Paco Rabanne scents included. Which personally I would of liked to see them totally different brands like the women's. So the extra surprise is you test and wear each perfume vial each day ( one scent a day for a week) then decide you're favorite one. These gift sets contain a voucher for one full bottle of fragrance, with a selection of seven bestselling classic, new launch and designer scents to choose from. Perfect for that special someone or a great gift for the holiday season. I think its a perfect and very creative idea for someone who you never know what scent to buy for. I have fallen in love with the Caroline Herrera scent, so I think I will be going for that full sized bottle. Where my other half thinks he will go for the Issey Miyake scent, its been nice to swap and change different scents though out the week and then have the choice to pick one you like. 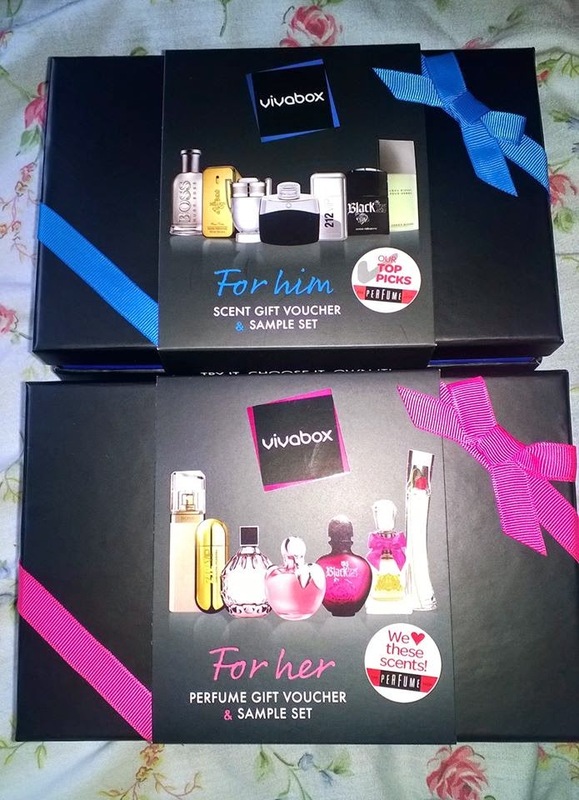 The Vivabox perfume gift sets, available exclusively from The Perfume Shop on the High Street or, directly from Vivabox. I think this a great gift idea for Christmas, definitely if you are not sure what fragrance someone likes, they can pick their favourite!